A heavy snowfall came down on the farm all day yesterday and last night. It gave me a morning of hard work and happy animals. No time in the gym compares with wading through knee-deep snow and raking roofs. No feeling of handing in a manuscript matches returning indoors, knowing your beasts are content. Most mornings this is a solid hour of feeding and care, but a heavy snow is not most mornings. The regular canter slows to a trot – and even a walk – and you give yourself permission to work slower to preserve the energy you need to carry on with the day. It is a small kindness, this permission. It took me years to accept it. 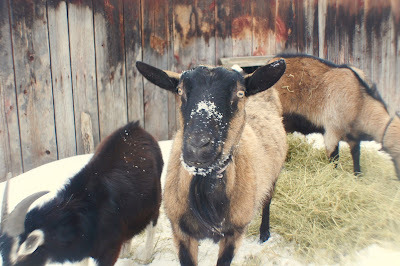 And so it was longer than usual until the animals were all fed this morning, the roofs bare (I still have to get to the barn roof, the house and mews are sound), and the fires lit. I didn’t even have the time to make breakfast (I had pancake fantasies) so I’m running on a cube of cheese and coffee. That isn’t a complaint. I could live off coffee and cheese forever. I am digging into the indoor to-do list, which today includes a librarian’s logo updates, inking a cat illustration, packing a soap order that is cured, working on recreating the typography on the side of an old farm truck for a modern logo, promoting work on social media, praying for sales, and asking my ancestors for some help. That last one is special to me. It requires walking outside to the King Maple in front of the farmhouse. There rests a snowy stump with a wooden bowl set on it. Inside my home there’s a little holy place with photos of my family, grandparents, aunts, and such and symbols of their heritage and past. There’s a candle and a bowl and every day I pour some cream, honey, a cracked egg, wine, or whiskey into it and tell the people pictured, unpictured, and lost to family history that their descendant is here. She’s trying to make this land and place something they are proud of. Can you guide me in hard work, wisdom, good deeds and effort on this place? May I be worth being remembered some day as well? And then the next day that bowl of tiny offerings and prayers goes outside to the tree bowl. I hope the land wights, songbirds, and anyone else who needs it takes note and imbibes. It doesn’t really matter if they do or not. What matters is having this daily ritual of being grateful and remembering. A tangible act. A connection to blood and stories I never met. A little wine is the least I can do. Back to farming: I have learned to pace myself on snow days. It is just me here. On days like this chores aren’t one block but set in order of import and done in smaller pieces. Coming inside to warm hands and numb toes by the fire and refill the tank with black coffee is my pit stop. It took from 7AM till 9AM to finished all the water carrying, fence digging, hay hauling, feed rationing, and such. Now I am about words and design and I hope that will carry me through till I am creatively drained around mid afternoon. Then the work of evening chores begin and I leave the labor of the mind for the body and carry on tending flock and snout. I think it is important to give your day meaning. It is important to try to be a little better than you were the day before. It’s important to forgive yourself of faults and keep promises, even if late. It is important to be kinder to others – you have no idea how hard the person taking too long in the checkout line ahead of you worked before noon. It is important to ask for help, even if the ceremony is private and lapped up by a sordid squirrel when you aren’t looking…. And it is most important to be grateful, patient, and good to those in your care. 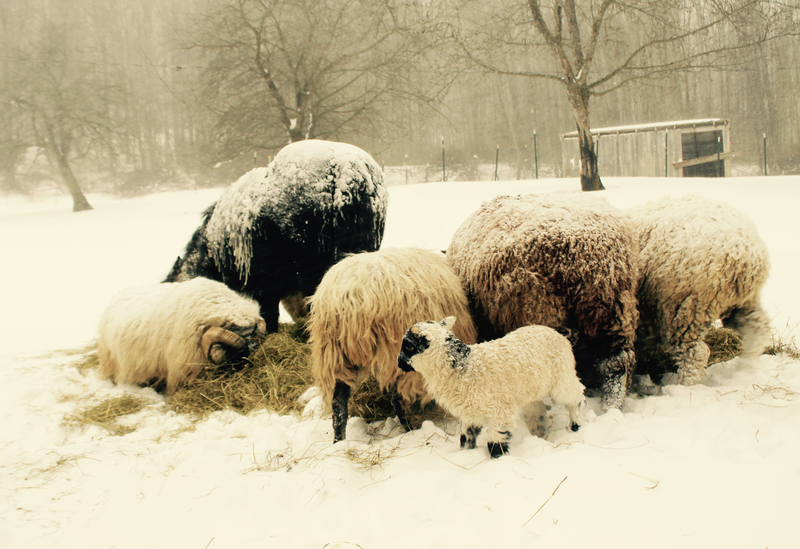 Here’s to another snowfall, luck making a late mortgage payment to fend off the wolves at the door, and to luck with book deals, sales, lambs, and soap! And may your farm and family find the luck you asked for, too.